One of the great delights of hosting a radio program like In The Pines is that I get to talk with a lot of musicians about their craft, as well as find out what songs/ artists/ albums make them tick. As a lifelong sufferer of Obsessive Compulsive Song Disorder (that would be – the repeated listening to one song over and over and over and over, so as to get inside and know it and breathe it) I am fascinated to learn the songs that other songwriters have an enduring affection for. With that in mind, I’m reviving a long forgotten but much loved section of the blog that asks songwriters to write about five of their favourite tunes: The Mid-week Mixtape. Our first contributor is an impressive young troubadour from Sydney, Australia: Jack Carty. 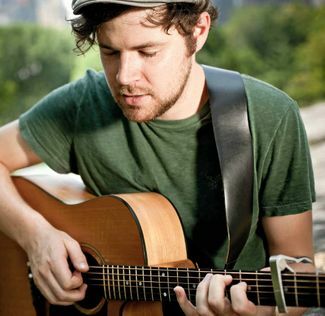 He writes beautiful, thoughtful folk songs with the slightest hint of country thrown in for good measure. His latest album, Break Your Own Heart is, literally, a heartbreaker. And here is the mix he kindly put together for In The Pines this week. Cue heartbreak (again). I can’t even remember how I found out about Sufjan Stevens. But it was sometime in 2008 or early 2009 and I remember listening to the album Illinois every time I could for the next year solid. I love the instrumentation and the epic scope of the arrangements. It’s bombastic but still classy and so full of feeling. I don’t think there is anywhere on the record that this is is better exhibited than right here… Gotta love the counterpoint. Left & Leaving – The Weakerthans. I first heard this song on a live album recorded at The Burton Cummings Theatre in their home town of Winnepeg, Manitoba. It has one of the most biting lyrics I have ever heard and John K Samson’s voice always sounds really sincere to me. He uses amazing imagery to describe his inner and outer environment in a really engaging and moving way. It’s so sad, but so resigned… “I wait in four/four time, count yellow highway lines, that you’re relying on to lead you home” – that line has swum around in my head for days at a time. I love pretty much everything Gillian Welch does. This track has so much attitude (from the sloppily played drums and fuzzbox guitars to the scratchy fiddle soloing in the right channel throughout its entirety) that it would be cool even if it didn’t have one of the best journey(wo)man lyrics I ever heard. She makes it sound easy, like she isn’t even trying, it’d almost be frustrating if it wasn’t so good. I love the way this song is simultaneously filled with so much sadness and so much love. It drips with doubt, loneliness, pain and an honest, quiet, beautiful affection. I have always loved the way Elliott seems to play the guitar like you would a piano, with a heavy emphasis on a constantly moving and repeated “bass line” underneath delicate ornamentations on the higher strings. It seems to lend a timeless, almost baroque feel to an already gorgeously timeless and moving sentiment. This song has helped me through a lot. Connor Oberst’s ultra poetic turn of phrase, Mike Mogis’ guitar flourishes, a rad bass line, Hammond organ, honky-tonk piano, a great story, some questionable backing vocals and most of all those buildups in the chorus! The first time I heard this I listened to it 5 times in a row, the opening stanza of the opening verse had me hooked. It is delicate, angry, political, upbeat and incredibly deep all at once. It’s a classic, man. 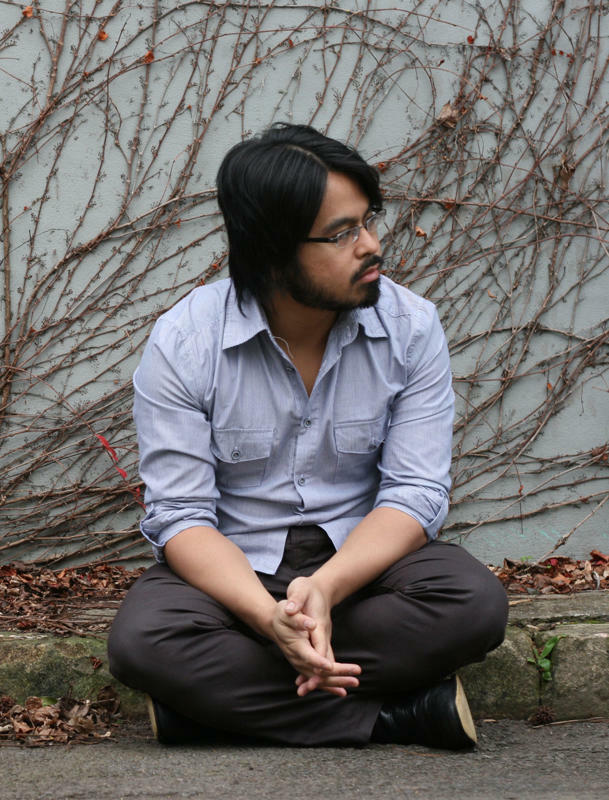 This week’s Mid-Week Mixtape is courtesy of Sydney solo artist Bryan Estepa. Bryan writes great country infused pop songs, the kind that Ryan Adams might have written post-Love Is Hell if he took anti-depressants and listened to more albums by The Beatles. On his latest album Vessels, Estepa wraps tender lyrics around seemingly effortless and catchy melodies. Of course, that effortlessness only seems to be so, as Bryan claims on his website to have suffered significantly from writer’s block before recording the album! Still, writer’s block or no, he has managed to scrape together some words about the following songs that have inspired him over the years. A song that instantly connects me to my childhood. Of my uncles and mother harmonising to this tune and the Bee Gees greatest hits on repeat during the long drives on our school holidays. This is the Gibb brothers writing a song for Otis Redding. He sadly did not get the chance to sing it but this version can last me a lifetime of listens. Brilliant. This was my first introduction to this fabulous band and pretty much got me hooked from the first line. People seem to overlook Sound Of Lies when talking superlatives about the Jayhawks back catalogue. Which is a damn shame as it’s an amazingly textured album. Louris’s guitar lines and arrangements, especially with this song is quite remarkable. As for memories, this conjures up my first time driving through Texas where I picked up this album in a thrift shop near San Antonio. Worth every $3.99 spent. There’s only a few artists who I never ever tire of listening too, no matter how many repeat rotations happens with their music. Elliott’s music is one of them and this song shows everything great about this man in 2 min and 48 seconds. His voice always tugs my heart at the right places and I’m constantly at awe at how his songwriting makes it seem so simple yet is very much complex and intelligent. This always brings me back to my working stint in the USA where all I had was a cassette of his 2 albums, Either/Or and XO to keep me company for two months and got me through it unscathed! My late high school and University years was pretty much soundtracked by the million You Am I shows I went too. I idolised and worshiped this band and realised that we had our own world-class live band in our backyard. Tim Rogers & co, influenced my early songwriting a lot and made me want to be onstage. I remember the excitement by myself and all the crowd before each gig and would many times climax for me during their encore with ‘How much is enough’. I always left You Am I gigs sweating, exhausted but bloody happy! Bryan Estepa will be launching Vessels at the Annandale Hotel on March 17. Supports include Dave McCormack, Matt Purcell & the Blessed Curse and the Bernie Hayes Quartet.